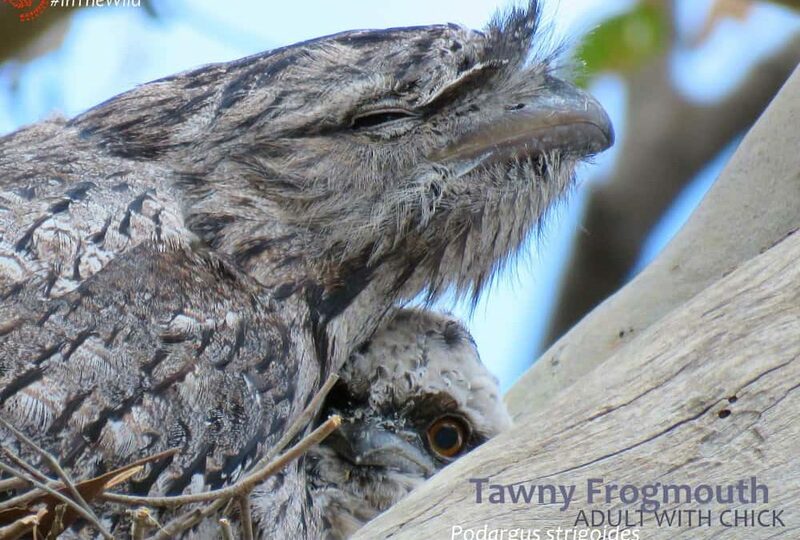 Tawny Frogmouths are the sleepy non-responsive teenagers of the bird world. They become active at night. By day they can barely open their eyes to regard you with a disgusted stare. But for some reason we love them to bits. 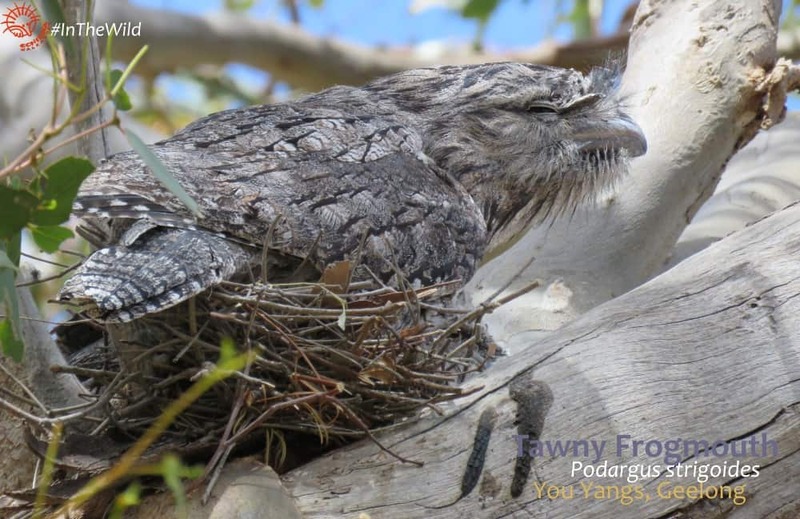 Tawny Frogmouths Podargus strigoides are a nocturnal bird in the same order Caprimulgiformes as nightjars, whip-poor-wills, and nighthawks. 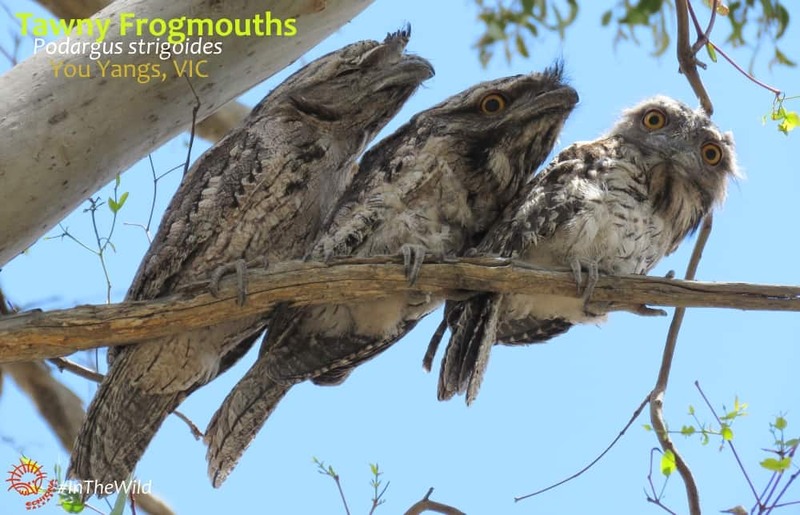 While nightjars live almost everywhere in the world, the frogmouths are a bird family restricted to Australia, south-east Asia and India. 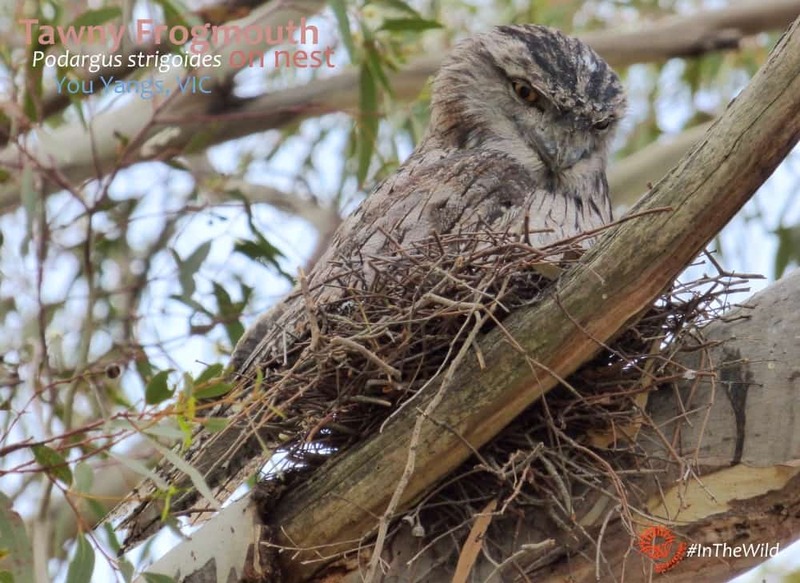 In Australia, frogmouths are well known and popular – people often see them roosting in a gum-tree during the day. In the late afternoon on our crepsucular* Sunset Koalas & Kangaroos tour we sometimes see them starting to wake up from the day’s slumber. They are birds that feed mostly on nocturnal and crepuscular insects, which they jump on from their perch in a tree. 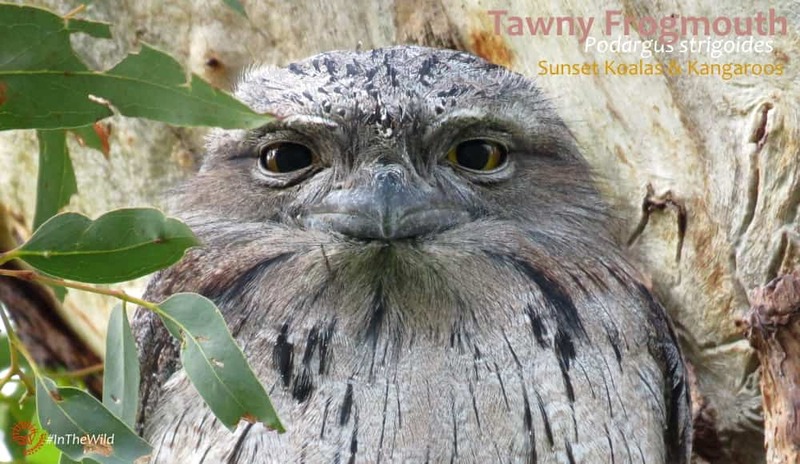 Tawny Frogmouths breed in Spring and Summer in Australia’s south. We have nesting records from August through to January in the You Yangs, near Melbourne, but most nesting there is seen in October. They lay 1 to 3 eggs and are usually seen with 2 or 3 chicks. The male bird incubates the babies in the daytime, so if you see one on a nest in the late afternoon on the Sunset tour, it will be a male. The chicks stay in the nest for about a month, and then roost on a branch with their parents for several months. 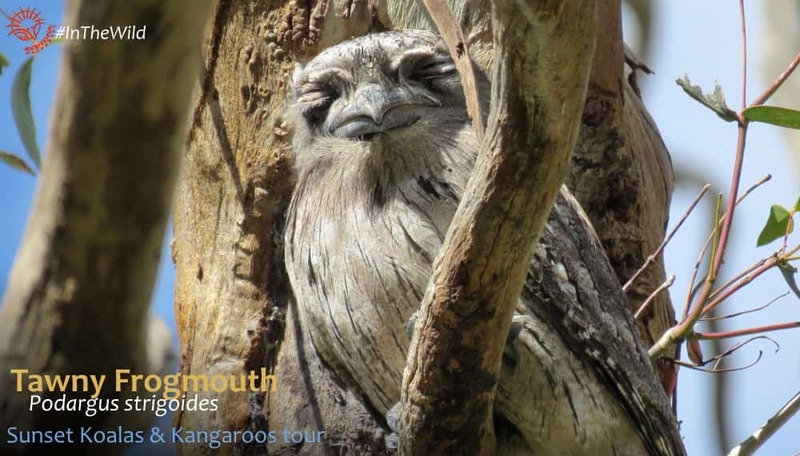 On our Sunset Koalas & Kangaroos tour, which runs from November to February each year, we often see a family of nocturnal Tawny Frogmouth birds cuddled together on a branch. *crepuscular: active at dusk and dawn. This tour is designed to get people out into the Bush at the times when crepuscular Australian wildlife is most active.